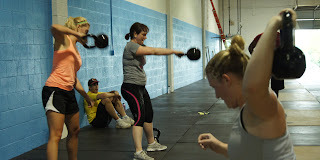 Woohoo kettle bell palooza pic! Hey, I think that's me standing in the back hidden by the kettle bell swing. Wooohooo! !